Is it just me that feels like our family kind of gets in a rut of eating the same foods over and over? I mean, I try to mix it up but before I know it, every Tuesday is Taco Night, and every Friday is Pizza Night, and so forth. Not to place the blame, but I think my kids are part of the reason why we get in a food rut. As a parent, once I find foods my kids like to eat, I tend to stick with them. This year I have a goal that we will eat a wider variety of foods, but of course, that was met with a lot of resistance from my little crew. Thankfully, I am more stubborn than my children, and I stuck to my guns. More than that though, I got creative and decided to find ways to get my kids excited to try new foods. I am going to share my tricks with you in hopes that maybe they might help someone else out. So I could totally just be the mom that forces my kids to try new foods and we have a battle of wills at the table. In fact, at times I am that mom. But life is so much nicer for all of us when I can get my kids excited to try new foods. No whining and even a little enthusiasm makes a happier home for all of us. Sounds like something magical right? 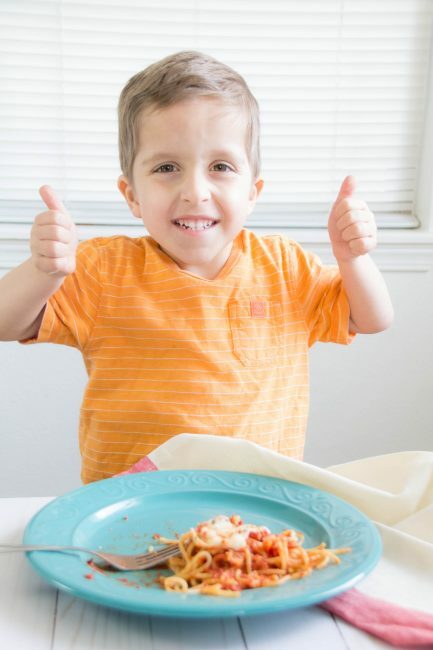 Kids excited to try new foods, no whining involved… SIGN ME UP! 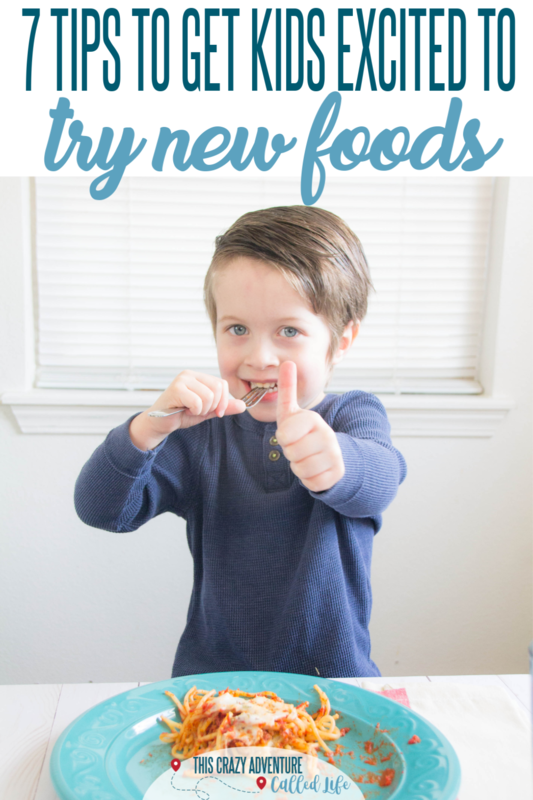 Here are a few tips on how we get our kids excited to try new foods in our home. We let our kids know that we are not short order cooks. When we prepare something for dinner, or pick something up, that is what we are having. We also let them know that while we expect them to try it, after they try it, there will be an alternative, simple option they may choose. This lets them know we do not expect them to eat a huge serving, and we won’t make them go hungry, as long as they try it. In our home, we ask our children to try as many bites as their age each time we serve something for dinner. So our three-year-old twins are asked to try three bites . Our eight-year-old is asked to try eight bites. Because this has been the rule since our oldest was two, he knows that each year, on his birthday this will increase, so we have yet to see a melt down because it is too many bites. One thing that has really helped with trying out new foods is making dinner time fun. For example, celebrating a holiday like National Italian Food Day (which happens to be today!) and make a whole theme of dinner. 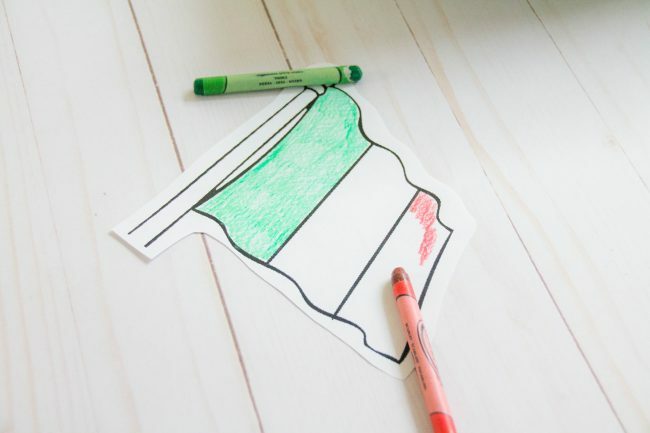 We might print out coloring pages of the Italian flag and let them color it, talk about our favorite Italian foods, and explain that Italian food is more than just spaghetti or pizza. One thing that has been important in our journey to try new foods with our kids is teaching them about the foods we put in our mouths. We try to teach them that simple ingredients are always great and if you can read everything on a label, and know what it is that is a big plus. 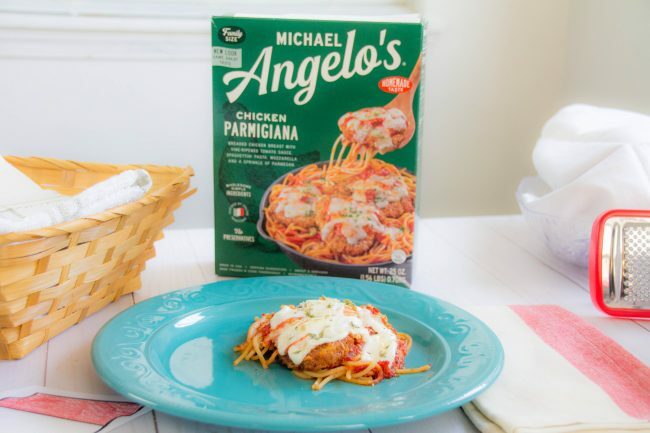 For National Italian Food Day, we knew that our family would be on a tight schedule, so we chose to grab some Michael Angelo’s dinner solutions in the freezer aisle at our local Walmart. (You can also buy Michael Angelo’s at Kroger’s and more.) 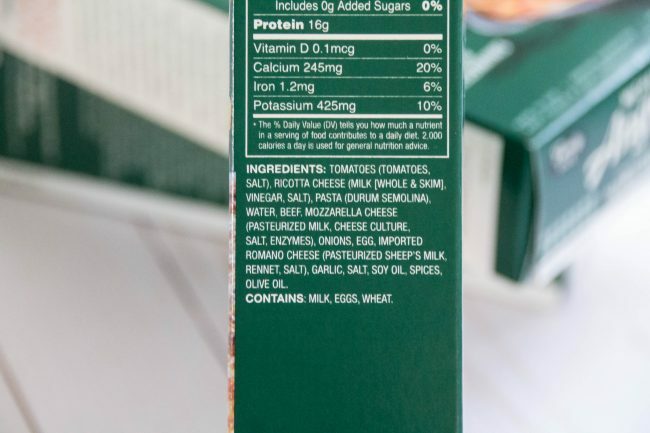 We made sure to point out to our kids how we not only could pronounce all of the ingredients on the label, but we knew what they were. If a product label reads like a grocery list, it makes us happy. 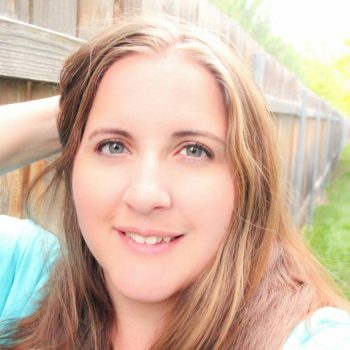 I am not someone that says my kids don’t have to eat something just because I don’t like it. Truth moment here: I am a picky eater. I always have been and it is something I am working hard to change. That said, I do often encourage my kids to eat things I don’t like. What I won’t do is make them eat something that just doesn’t taste good. What I mean by that is you know how some times a bag of vegetables or a frozen meal just doesn’t taste good at all? I won’t make them eat that. We knew we were safe with Michael Angelo’s because we have made the meals many times. From Three Cheese Baked Ziti, to Lasagna with Meat Sauce, and this week’s dish Chicken Parmigiana, we knew that they taste great like they were made by an Italian Nonna herself. My husband and I have this conversation a lot about how he always alters his food. ALWAYS! I say, “Man, it is a good thing I don’t take it personally.” Totally just to see his reaction, but seriously, he alters all food. Whether it is adding a salsa, or cheese to it, or putting every type of meat into a sandwich (why can’t he just eat roast without putting it in bread?) he alters EVERY. MEAL. WE. EAT. In a way, it can be annoying, but one good thing that has come from it? It has helped my kids try new foods. 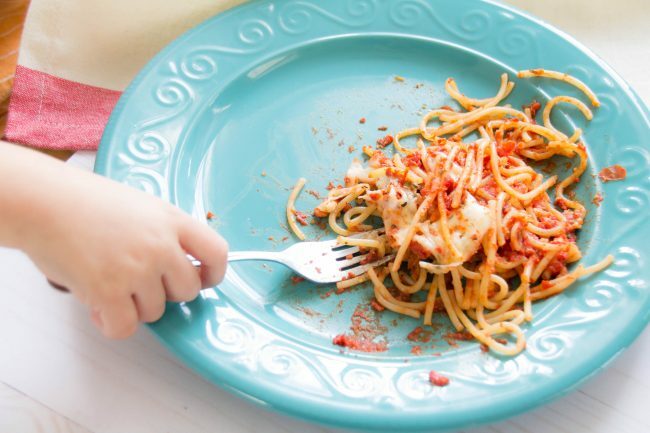 My kids will eat almost any pasta dish out there if they can add a little extra Parmesan cheese to it. Meat, give them a dipping sauce and they are good to go. If adding something to their food will get them to try new foods, roll with it. Don’t try something new every night. Kids are pretty happy to try something new once in a while, but if it becomes a nightly event, they may get upset. I have an aunt that used to try out all these weird recipes, and my poor cousins hated it because she would make something new every single night, and then she always cooked a ton. Then she would save the leftovers for lunches. I remember dreading staying with this aunt when we visited because I had no clue what dish she might cook up. Truth be told, maybe they just felt like weird dishes because I was a kid. If it isn’t something your kids are used to, they consider it weird. And getting fed weird food every single night, gets old and makes kids whiny. On top of that, if you find a new food they like, be sure to add it in to your rotation of foods. 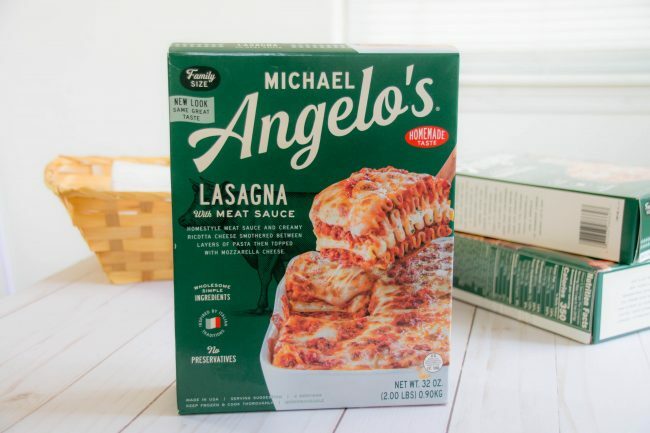 My kids love the Michael Angelo’s Lasagna with Meat Sauce, so it has been a regular option for us on our busy nights. If they love something and then you don’t have it again for a long time, you might find that it is like starting all over again. My oldest has foods he “loved” as a toddler but now we are going through the steps to get him to try it again. So learn from my mistake and keep eating those foods so they don’t forget how much they love them. These steps have made trying new food a family affair, and helped stop whining about trying new foods. 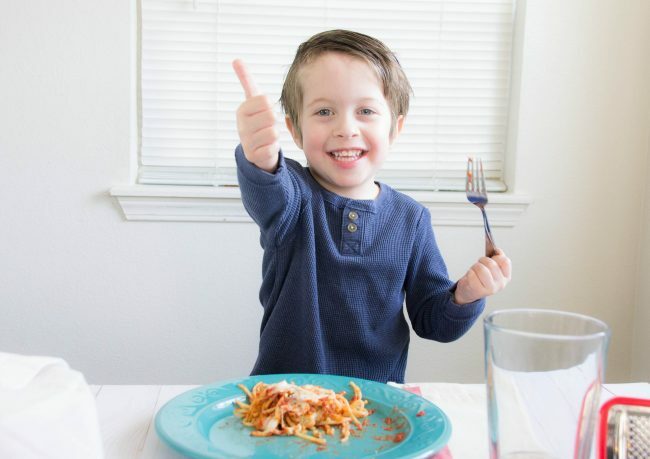 My kids actually prefer most “adult” food over traditional toddler type foods because of our efforts to try to vary our meals and encourage them to try new foods. Do you have any tips for trying new foods? Share them below. Then be sure to head over to my Instagram account where I am giving away coupons for Michael Angelo’s entrees for 5 of my followers.